Is your writing a hobby or a business? I write as a hobby. Do I need to worry about taxes? Do hobby writers who make a little money need to worry about taxes? 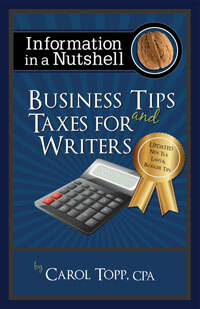 Webinar with Carol Topp, CPA helping writers understand taxes.